يشكل Motel Lodge بموقعه الممتاز في روكهامبتون نقطة انطلاق جيدة لاستكشاف هذه المدينة النابضة بالحياة. إن موقعه الجيد الذي يبعد 0.5 Km فقط عن مركز المدينة يساعد النزلاء على الاستمتاع بمعالم المدينة ونشاطاتها. بالنسبة لمن يريد الخروج، هذه بعض المعالم السياحية المتوفرة للزوار The Spire Tropic of Capricorn, سنترال بارك, ‪Nissan Navara Arena‬. يعمل Motel Lodge على ضمان إقامة مريحة لضيوفه من خلال خدماته الممتازة وحسن ضيافته. تتضمن الميزات الرئيسية في هذا الفندق: واي فاي مجاني في جميع الغرف, خدمة التنظيف يوميًا, خدمة غسيل ذاتية, واي فاي في المناطق العامة, صف السيارات. 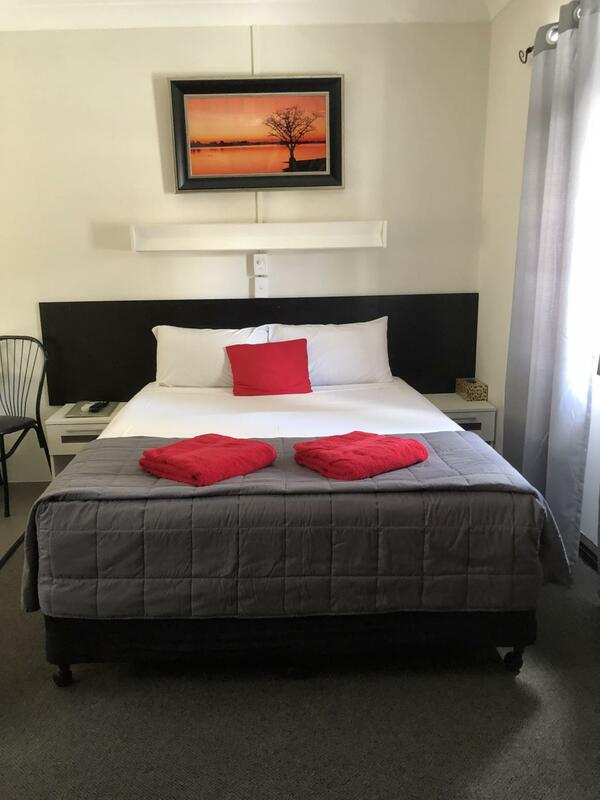 تنعكس أجواء Motel Lodge في غرف الضيوف.تلفزيون بشاشة مسطحة, اتصال لاسلكي بالإنترنت, اتصال لاسلكي بشبكة الإنترنت (مجاني), غرف لغير المدخنين, مكيف هواء هي بعض الميزات الموجود في العديد من الغرف. يمكنك الاستمتاع بالأجواء المريحة التي تقدمها حمام سباحة خارجي, حديقة طوال النهار. إن Motel Lodge هو مكان مثالي للمسافرين الذين يتطلعون إلى الراحة والاستجمام في روكهامبتون. How nice & helpful the staff were was wonderful. Glad we could be of help during your stay with us. We are in the process of refurbishing as you would have see when you stayed. Parking right outside your door was shocking?? Stood there for 30 minutes ringing the doorbell and no one came to the door. So I left and then stood there for another 15 minutes until someone showed up. I am sorry that it took so long for you to be attended to. It would have been nice if you would have said something so we were able to fix the door bell. Bindy, Thankyou for choosing to stay with us. Gwynne, Glad you enjoyed your stay with us. Location is Central, not too far away from places to dine. Staff were friendly. Very Good Value for Money. Quaint little place. Although Car parking is tight there is adequate spaces for all residents. Clean Compact Room. 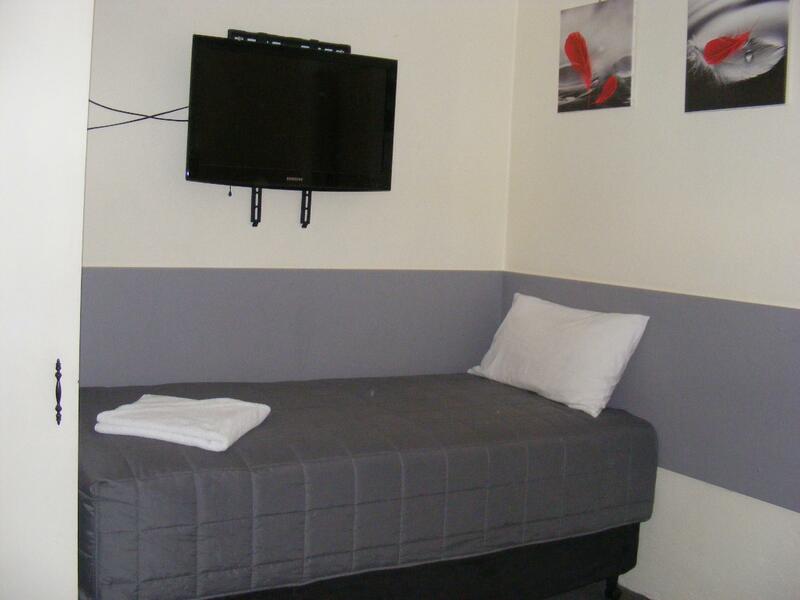 Air Conditioned, Tea & Coffee Making Facilities, Big Screen TV, Close to places to Dine. We would stay again overnight. Annette, Thankyou for your review. We look forward to seeing you next time. 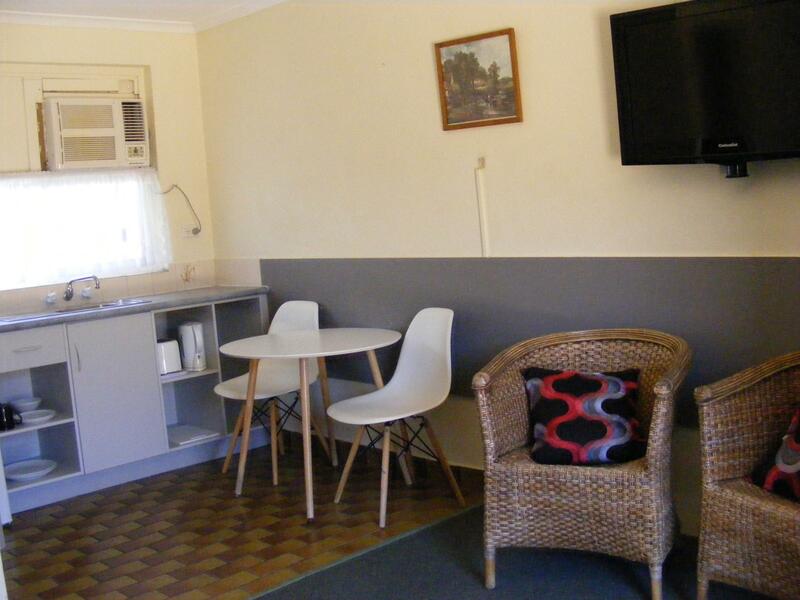 Nothing like the photos on the internet the rooms where not made up every day like s motel in was more a hotel style for a motel price. The bed was lumpy and very short so my feet hung over the edge all night. There were spiders in the corner where the bed was against the wall so we had to remove them before we could go to bed. The whole room was old, worn out and not clean. There was a dirty towel. A disgrace to even ask a fee for! We did not dine in. Hi, Your reservation was with the previous owners. Big comfy room for the price I stayed. centrally located near Bruce Highway. Comfortable room for the price I paid. Free and fast wifi connection. Value for money. was good. But need some renovation especially the balcony. the armrest are broken and looks a bit dangerous. the night was ok. a bit expensive for what you get, rooms needs to be renovated. close to the main road, so important traffic and noisy. We were here for only one night, and would not have wanted to stay much longer. It was rather cramped and not handy for restaurants. On the upside, our need to be moved from a room with a double bed to one with a queen bed was met without demur. Sorry Bill there are several restaurants with in walking distance and the rest about 1 km away. I don't recall moving your to a queen bed but glad to of be able to assist with your requirements. It was cheap budget motel so value was good. And room wasnt too small so i was happy but toilet was bit dirty even after room service. 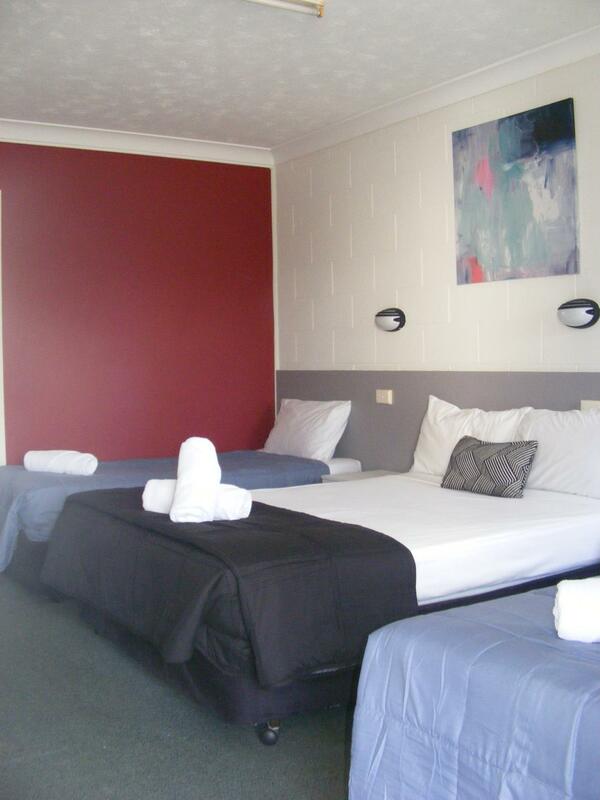 And small car park so worried about my car get scratch... Wasnt too bad motel if you want to save some money. Big rooms but bit dirty in Toilet. Other than this wasnt too bad.